Before Kimmy and Nick headed down to Florida to say "I do", I was able to work with these super sweet people one more time. Bridals can be a bit tricky as far as locations, and to start with I wanted the classic elegant feel that I knew the downtown area had to offer. 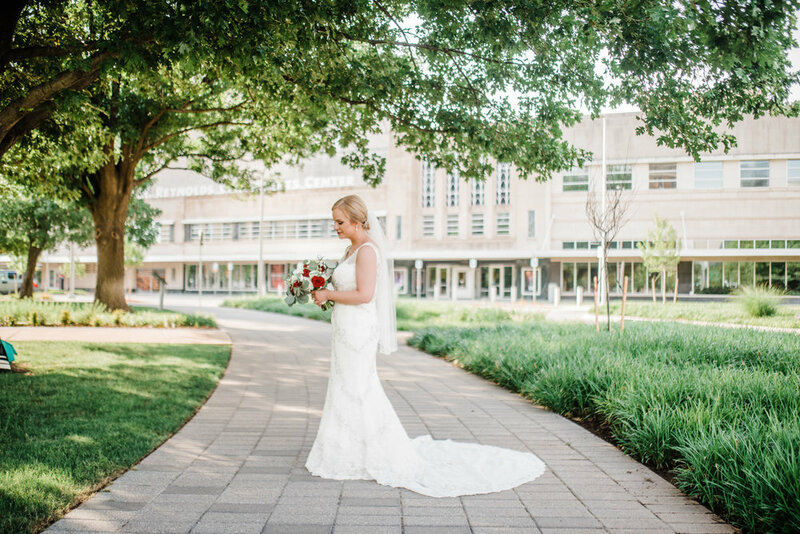 From the towering Civic Center's architectural details to the beautiful greens around our city hall, we were able to capture some really amazing images. You always have to feel out sessions as they go, and after Kimmy and her crew pointed out a house-like building sand-whiched in between high rises, I knew they'd be down for something different. We drove over to one of my favorite views of sunset, and after getting the lighting I wanted, they were up for some more contrasty darker takes as we headed downstairs. The light beaming in through the slits in the wall created amazing light to play with. And the circular ramp helped create the lines I always love to work with! By the end of the session Kimmy was throwing out some amazing ideas of her own, and I was so excited as I got home and started editing these! Now that Kimmy is officially a Fiegel, I can finally share these amazing pieces we created! It was such a blast working with both of them on their engagements and bridals, and I can't wait to see the photos from their ceremony in FL.